In the United States, it’s customary for people to say that they’ve lost their significant other for the next few months during the NFL season. Once the Super Bowl is over, those people usually get their loved one back. That wasn’t the case for one couple after the World Cup. 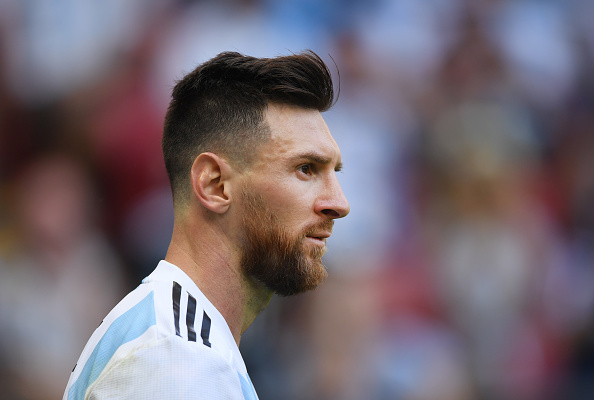 Lionel Messi’s performance during the World Cup was wildly criticized as Argentina got eliminated by France, and it just might’ve ended Messi’s fourth and possibly final attempt to add soccer’s most cherished trophy to the bulging trophy collection he has acquired with Barcelona at club level. Listening to analysts criticize your favorite player is one thing, but hearing it in the comfort of your home from your significant other was too much to handle for this next guy, so he decided to pack his things and leave his wife. Arsen said Argentina’s disappointing debut during the World Cup this year led to his wife mocking the player’s performance. He ignored her – but when he was celebrating Messi’s goal against Nigeria, he snapped when his wife began mocking the star player again. ‘From the very beginning of the World Cup, Lyudmila constantly mocked me and my beloved player, saying that he played poorly and couldn’t even score an important penalty in the game with Iceland,’ he told the newspaper. ‘When she once again started speaking unkindly about Lionel and his performance, I got angry and, in turn, expressed everything I thought of her handsome Ronaldo, the Portugese national team, herself and all the other clubs Lyudmila is crazy about. They were married for 14 years. Both Argentina and Portugal ended up being sent home early in the round of 16 stage at the 2018 World Cup.